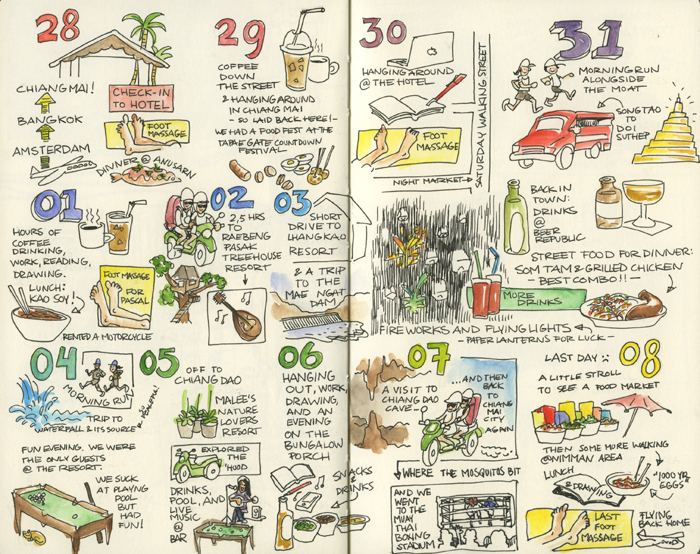 Sketchbook guidance and references: How many pages should you create per week? 7 or more per week is the minimum there’s no maximum. I will check it at any time. You should work in your sketchbook as often as you like and create as many pages as you are inspired to. Of course, the more you work in it, the more you’ll want to so you might just find yourself opening it up every single day to add a little something to the pages here and there. There’s no rule that says you have to work in just one book at a time so you might want to mix it up a bit and have several different ones going at once. Maybe one for wet media such as acrylic and watercolors, one for pen and ink and one for collage. Feel free to have separate pages that you can just stick into the sketchbook.How many pages should you create in the end? Your goal is to have a finished book by end of April. They need not be finished drawings but rather “sketched out” versions.